Annnd we’re back! After a little hiatus (><), Darkborn returns! 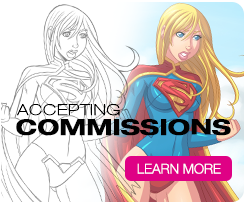 Along with new pages, I also added some new wallpapers, fanart, and character bios in the codex. 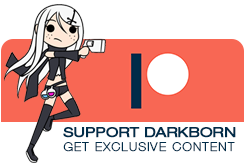 I've also launched a Patreon for those that would like to help support Darkborn.  I’m offering exclusive Darkborn content for those that join. 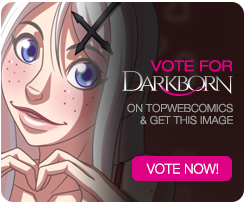 Let everyone know that Darkborn is back with a vote on topwebcomics. Thank you, again, for continually checking back and letting me know that you wanted Darkborn to return.